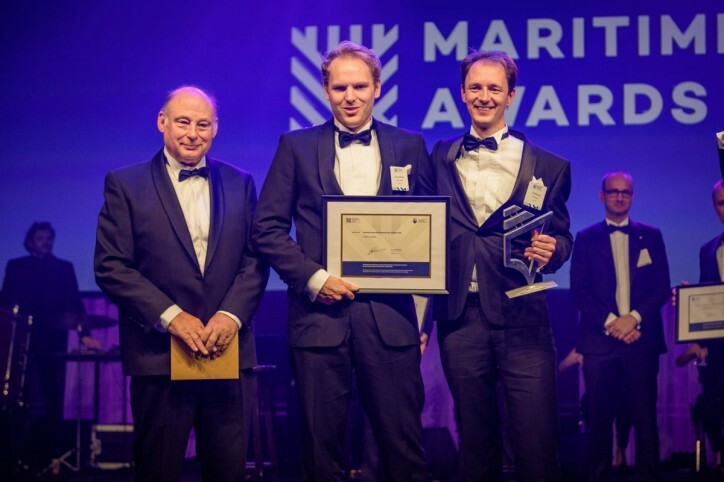 At the Maritime Awards Gala organized in Amsterdam, The Netherlands on November 12th, Fleet Cleaner has been awarded with the prestigious Maritime Innovation Award 2018! The respected jury calls it a true maritime innovation. Winning the award is yet another indicator that Fleet Cleaners innovation-driven approach, including the high tech cleaning robot and filtration system, has the potential to revolutionize the hull cleaning industry. Fleet Cleaner’s diverless hull cleaning service is available 24/7 in all Dutch ports.